Amazing opportunity to own +/-3 acres in the heart of Clovis. 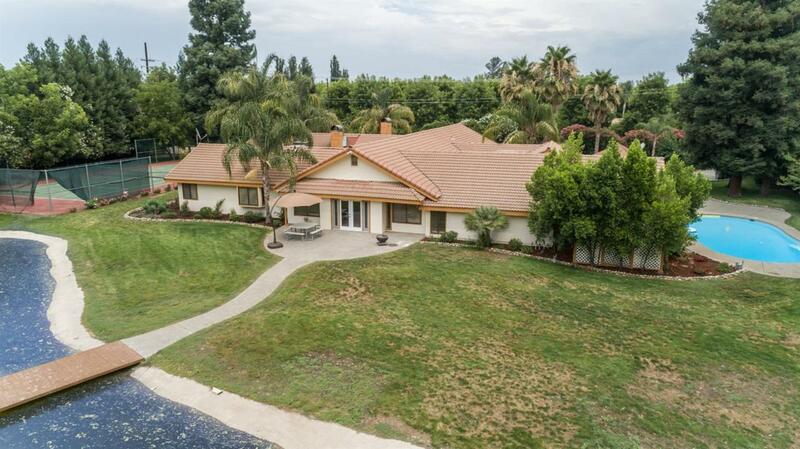 This property is situated near the Dry Creek trail, schools, shopping and freeway access. Enjoy the open space with living and family rooms, formal dining room, spacious bonus/game room, 6 bedrooms, and 4 bathrooms. Outside you can enjoy your own piece of paradise with a tennis court, swimming pool and your own private pond. There are two other structures on the property for storage/shop area. Nestled behind mature landscape, this private oasis is one-of-a-kind. Call today to see for yourself.